From its earliest days as a British colony, Hong Kong served as a centre of international trade. In the turbulent years of the early 20th century, the city’s population was bolstered by refugees, mostly from China. The arrival of immigrants in large numbers helped launch a new role for Hong Kong as a major manufacturing hub. It also brought economically stimulating energy and industry to the city’s character. In recent decades, as the economy of Mainland China has undergone a process of opening up, Hong Kong has transformed yet again – this time into a service-based economy as well as an important gateway to the world’s largest market. 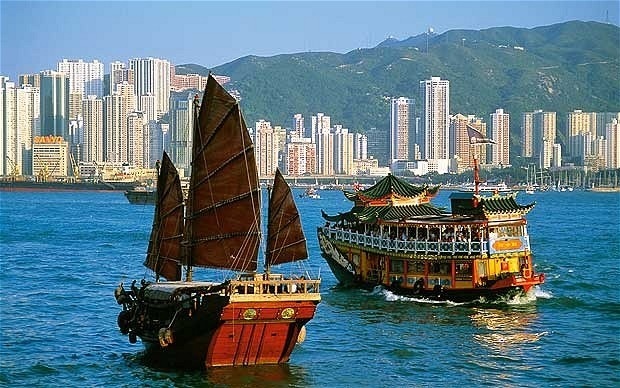 Under the principle of ‘One Country, Two Systems’, Hong Kong became a Special Administrative Region of the People’s Republic of China on 1 July 1997. This arrangement allows the city to enjoy a high degree of autonomy, including retaining its capitalist system, independent judiciary and rule of law, free trade and freedom of speech. A look at the city’s history could give a strong impression that change is the only constant here. However, despite all its reinventions, Hong Kong’s spirit has never changed. In fact, the same energy and dynamism that turned a group of sleepy fishing villages into a crossroads of international trade is now taking Asia’s world city into the 21st century. Experience that spirit and Hong Kong’s story yourself by exploring the city’s rich culture and heritage. Kapitalne jest to “gęste”, ludne miasto, na skraju wielkiej wody z górami w tle. Awesome Blog, Kudos to you mate for your 4 years of traveling around the world.